The Oculus Rift is one of the hottest gaming devices and most powerful virtual reality headsets on the market today. But wearing one for extended periods of time can make your face feel sweaty and hot, while also irritating your skin. 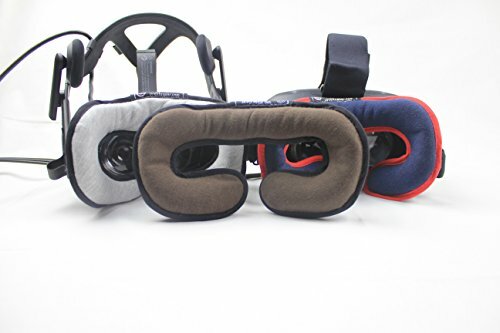 That’s why you need the Oculus EyePillow, a softer, more comfortable foam-pad fabric made with organic bamboo cotton! Designed to fit perfectly with the Oculus Rift, our face foam guard is plush, sweat-resistant, and is antimicrobial. More importantly, it won’t irritate your skin so you can game, watch, and enjoy all day long. The next time you’re watching 3D movies or playing VR games, make sure you’re more comfortable and relaxed for hours of uninterrupted gaming. Get the If you’re ready to envelope yourself in a whole new world, pick up the Oculus EyePillow today! 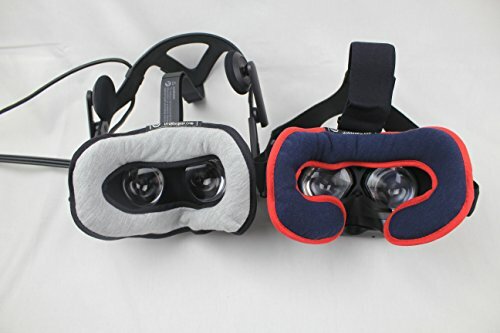 Click ‘Add to Cart’ now to get a face foam cover for your Oculus Rift that’s softer and more comfortable than standard hard foam. • PRECISION FIT – Crafted specifically for Facebook’s Oculus Rift, our EyePillow forms perfectly over the face port without sliding, bunching or coming lose. • MACHINE WASHABLE – Playing a lot of games and feel like your EyePillow needs to be cleaned? It can be put in the washing machine for quick reuse!